Multiple variables can be declared in a single step. After a variable is declared, it can be assigned a value. Variable declaration and assignment can be done in a single step. For example, the age variable above is an integer. However, the variable strAge below would be a string (programming speak for text) because of the quotes. Type var age = 18; and press Enter: Don't worry about the "undefined" response. All that means is that your code didn't return anything. Now type age; and press Enter: This time it does return something - the value of age. Let's subtract 2 from age and then add 2 to age: That works as expected. The issue shown above does not come up often, but when it does, it can bite you. The best way to handle it is to make sure that when you are going to use a variable as a new type, you explicitly convert it to the new type. We will show how to do that later in the course. Variable names must begin with a letter, underscore (_), or dollar sign ($). Variable names cannot contain spaces or special characters (other than the underscore and dollar sign). 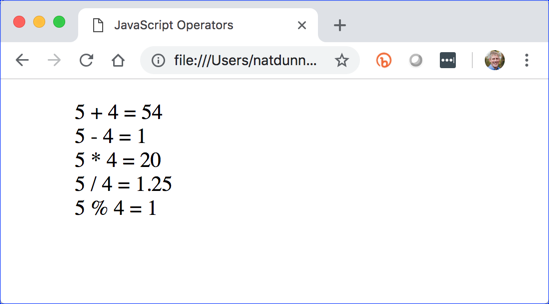 Variable names can contain numbers (but not as the first character). You cannot use keywords (e.g., window or function) as variable names. 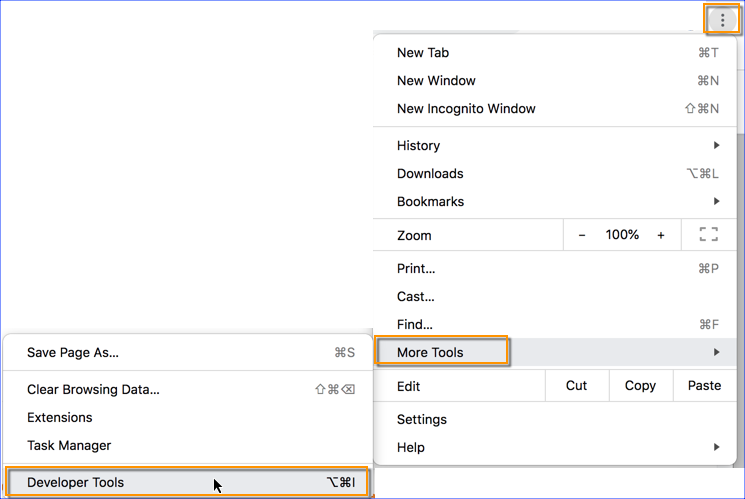 The following example uses the prompt() method of the window object to collect user input. The value entered by the user is then assigned to a variable, which is accessed when the user clicks on one of the button elements. As the page loads, a prompt pops up asking the user to enter a color. The message in the dialog box (e.g., "Enter a color."). The default value that appears in the text box. 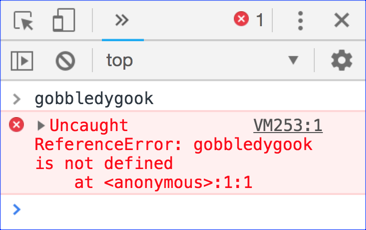 In the example above this is an empty string (i.e., ""). If the OK button is pressed, the prompt returns the value entered in the text box. If the Cancel button, the prompt returns null (See null callout below.). The line below assigns whatever is returned to the variable userColor. A script block with a call to document.write() is then used to output the color entered by the user. 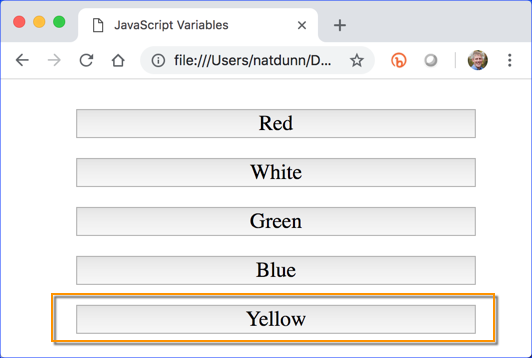 This output is contained within a button element, which has an onclick on-event handler that will be used to turn the background color of the page to the user-entered color. Click the "Yellow" button. The background should turn yellow. In this exercise, you will practice using variables. Below the ADD PROMPT HERE comment, write code that will prompt the user for her first name and assign the result to a variable. Add a button below the Ringo button that reads "Your Name". Add functionality so that when this button is pressed an alert pops up showing the user's first name. In programming, a constant is like a variable in that it is an identifier that holds a value, but, unlike variables, constants are not variable, they are constant. Good name choices, right? While constants can be declared with uppercase or lowercase names, the convention is to use all-uppercase names for constants, so they are easily distinguishable from variables. Arrays can be declared with initial values. The following example is similar to the previous one, except that it prompts the user for four different colors and places each into the colors array. It then displays the values in the colors array in the buttons and assigns them to document.body.style.backgroundColor when the user clicks on the buttons. As the page loads, an array called colors is declared. The next four lines populate the array with user-entered values. The body of the page contains a paragraph with four <button> tags, the text of which is dynamically created with values from the colors array. The tables below show some of the most useful array properties and methods. 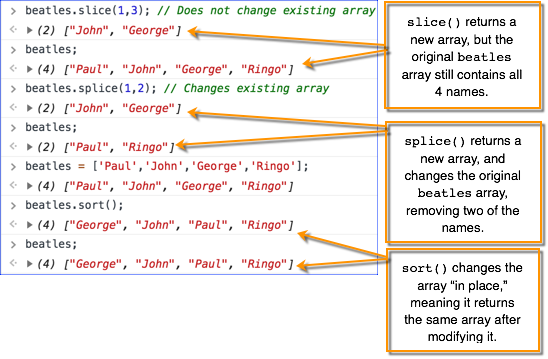 All of the examples assume an array called beatles that holds "Paul", "John", "George", and "Ringo". length Holds the number of elements in an array. join(delimiter) Returns a delimited list of the items indexed with integers in the array. The default delimiter is a comma. push() Appends an element to an array. pop() Removes the last item in an array and returns its value. shift() Removes the first item in an array and returns its value. unshift() Prepends one or more items to the beginning of an array. slice(start, end) Returns a subarray from start up to, but not including end. If end is left out, it includes the remainder of the array. splice(start, count) Removes count items from start in the array and returns the resulting array. sort() Sorts an array alphabetically. 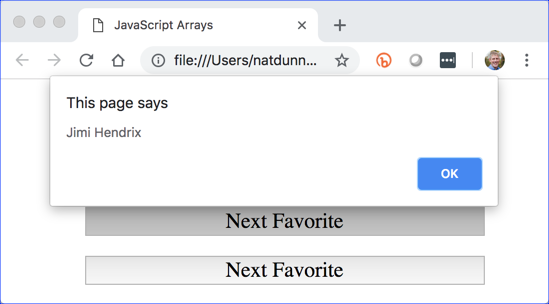 In this exercise, you will practice working with arrays. 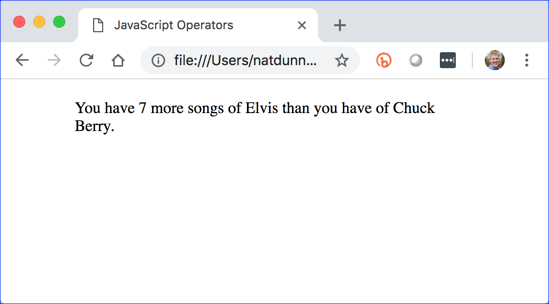 Below the comment, declare a rockStars array and populate it with four values entered by the user. Add functionality to the buttons, so that alerts pop up with values from the array when the buttons are clicked. four values entered by the user. 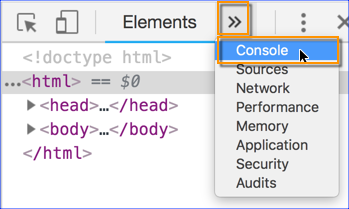 Take some time to play around with these array methods in Chrome DevTools Console. Try your own things and/or follow along with the code below. Note that some methods will return a value without modifying the existing array, while others will make changes to the existing array "in place". For example, study the code below. Notice that slice() returns a new array without changing the existing array, whereas splice() and sort() make changes to the existing array. The file below illustrates the use of the concatenation operator and several math operators. It also illustrates a potential problem with loosely typed languages. So, 5 + 4 is 54?? Well, only if 5 and 4 are strings, and, as stated earlier, all user-entered data is treated as a string. Don't worry. We will learn how to fix this problem soon. || Used to assign a default value. 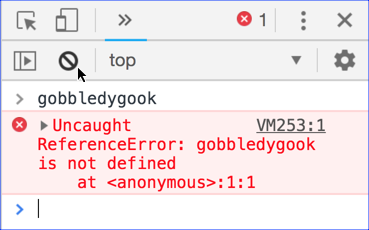 If the user presses OK without filling out the prompt or presses Cancel, the default value "Stranger" is assigned to yourName. Why do we need a default operator? and press Enter. This will cause a prompt to pop up. Press the Cancel button. This will return null and assign it to firstName. This time, when you press Cancel, the default value of "Stranger" will be assigned to firstName and the concatenation operation will work fine. and store the result in a variable. she has than of her second favorite rockstar's songs. 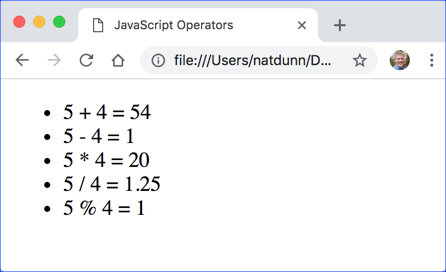 Modify it so that it outputs an unordered list as shown below: Don't worry about the 54. We will learn how to fix the addition problem soon.